Let’s start with a graphic. 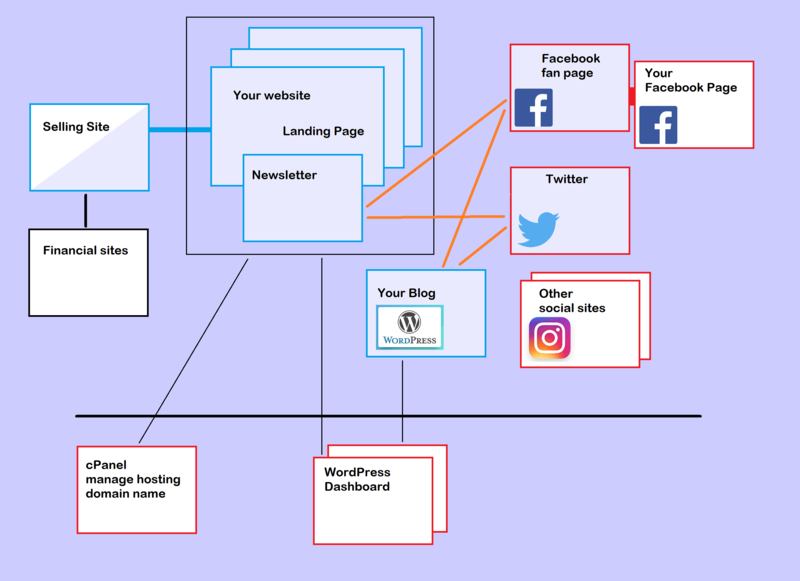 Here is a typical site layout for someone just getting started, maybe an artist or a small entrepreneur. This is how CloudLadder has set up sites for many clients. 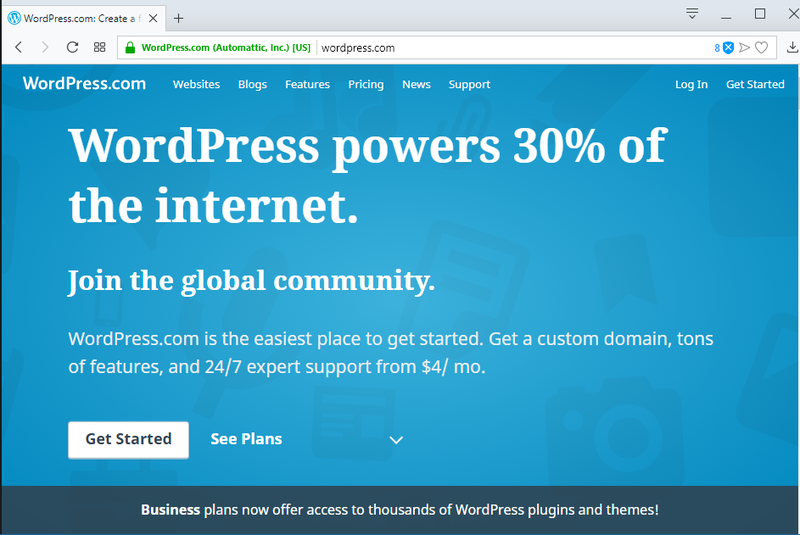 WordPress, according to their site, powers 30% of the sites on the web. With that much penetration it must offer value, features and longevity. CloudLadder has used this approach for years and we recommend you use it to underpin your presence online. As you look at this graph you may be wondering, does it have to be so complicated? I am not a tech guru, can I handle that? Can I have somebody do all that for me? Isn’t this what CloudLadder offers? There are many organizations with loud siren songs telling one and all that getting online is a snap if you only sign up with them. Indeed there are many providers that make it very easy to get started. With such easy comes a simple, proprietary way. There may be enough customizing to make you happy. You still have to do all the detail work. Nobody knows what you do, what you wish to accomplish, what you have to offer. Go ahead, check out those services, one or another may suit you to a tee. Whenever someone else provides a service for you, it costs money. The more they offer, the more it costs. If you can afford to have it all done for you, you are already sufficiently successful and well-to-do that you don’t need to go on reading here. 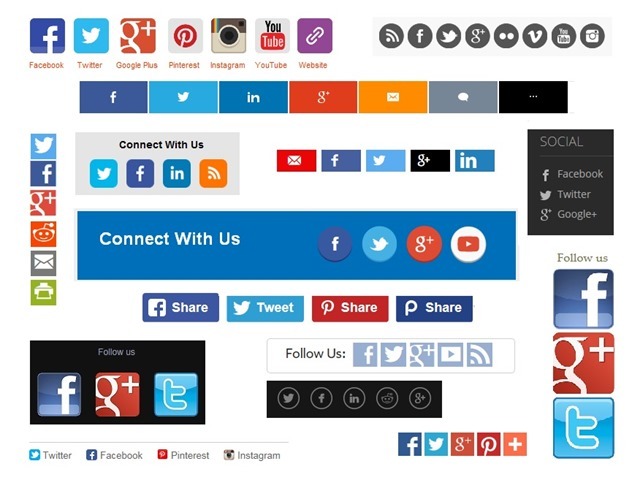 The parts on the right, the social sites, may be very familiar to you. You most likely have a Facebook page. You may already have a Facebook “fan” page to promote your enterprise. 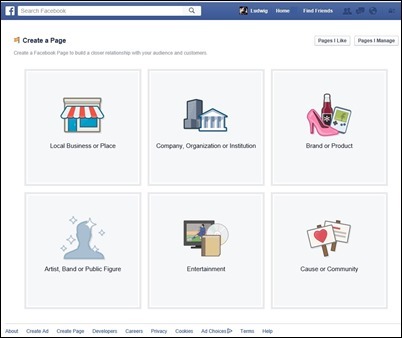 If you do not have a separate Facebook page for your public activity, you may wish to start with that right away. 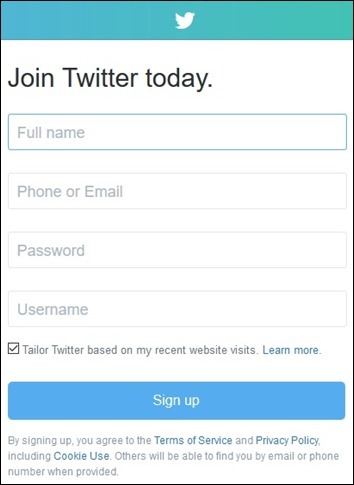 Similarly you may wish to set up a Twitter account and a Instagram page for your enterprise. We will not discuss the social sites in detail here, that is done in another article. The pale blue parts in the black box in the center make up the main site. 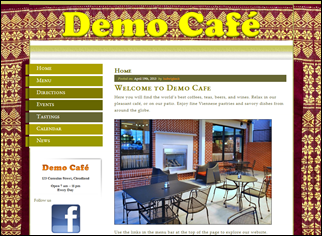 A typical website has several pages with can be reached from a menu on the front page, the “landing page” where visitors arrive. To get there the site needs a web address called a “domain name”. Of course, all the pieces, text, and graphics need to be stored somewhere, that is called “hosting” and is provided by many companies, large and small. The technical programming details are provided by the WordPress “engine”. ► Your own domain name. 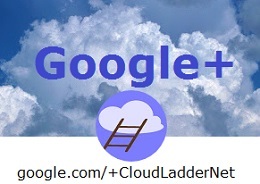 Domain names are like cloudladder.net. For most enterprises the part behind the dot is com, but there are dozens of others available as you can see in ludwig.keck.photography. Domain names are “registered’ for a period of time, typically one year, with an “ICANN accredited registrar”. We show a couple on our Resources page. You can obtain your domain name from WordPress (more on that below) or from CloudLadder as part of our service. Typically a domain name will cost $10 or more per year. ► Hosting service. This is data storage space on a computer system that is online at all times. There are numerous hosting service providers. You will find some links on our Resource page. WordPress can also provide this service. CloudLadder can also arrange for this service for you. 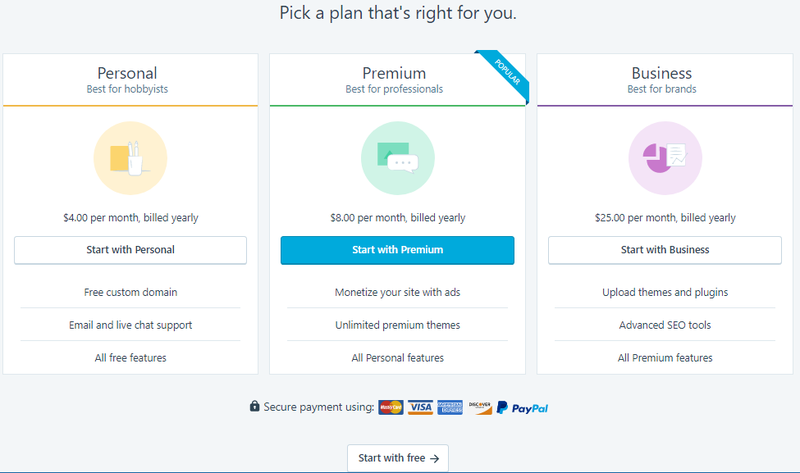 The cost of hosting varies all over the place, from $10 per year to over $100 per month. We’ll come back to this topic. ► The WordPress engine. This is where it gets interesting. The WordPress engine is free, however there are “themes” and “plugins” that may be quite expensive. To get all the pieces you need to have a WordPress account. You can have all the pieces to make a perfectly outstanding website at no cost. The basic WordPress account is free, the “engine” is free, there are hundreds of free “themes” for the look-and-feel of the site and free “plugins” to provide any needed or desired features. You are likely rather confused right now. It is easiest to clear this up and to explain many options by walking through the process of getting your WordPress account. Yes, you can can avoid these grubby details by having CloudLadder set up your site. It typically costs around $100 for this basic service (see our current offer). To set up your WordPress account you start at wordpress.com. Before you do, you might benefit from the instructions here, so don’t go just yet. When you get there, read the commercial then click Get Started. You come across a length questionnaire. Answer as best you can. 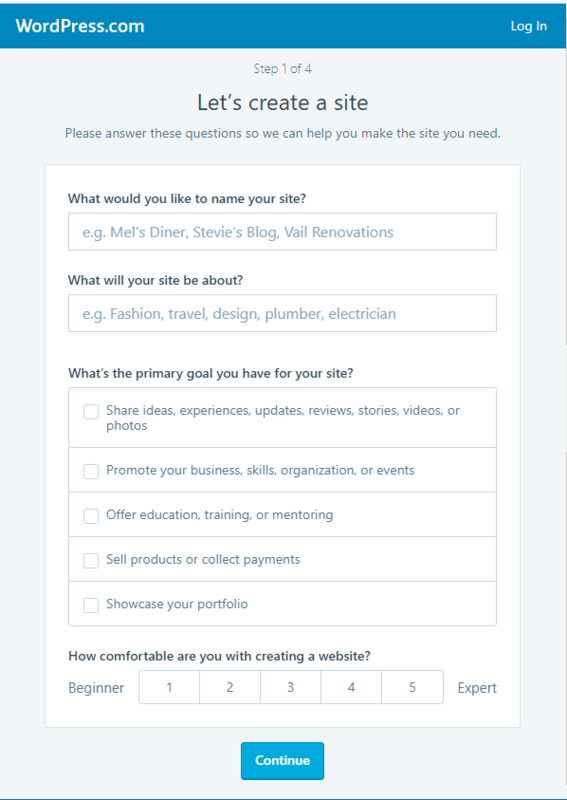 Note the first question, “What would you like to name your site?”, should be answered with your business name, not the domain name you might want, that comes later. Now we are at the domain name, well, not really. It depends on the next step you take, however, this will be either your domain name or a WordPress sub-domain. An exclusive domain name looks like yourdomain.com, while a WordPress subdomain has the form yourdomain.wordpress.com. Here, just enter the front part, like yourdomain. If it is not available you will be advised. So what’s the difference between domain and sub-domain? You really want your own, without that “wordpress” in the middle, however, bear with me, you really want both. But that takes us as step too far. As stated above, enter the main part of your preferred domain name. This is where you need to learn about the different WordPress services. 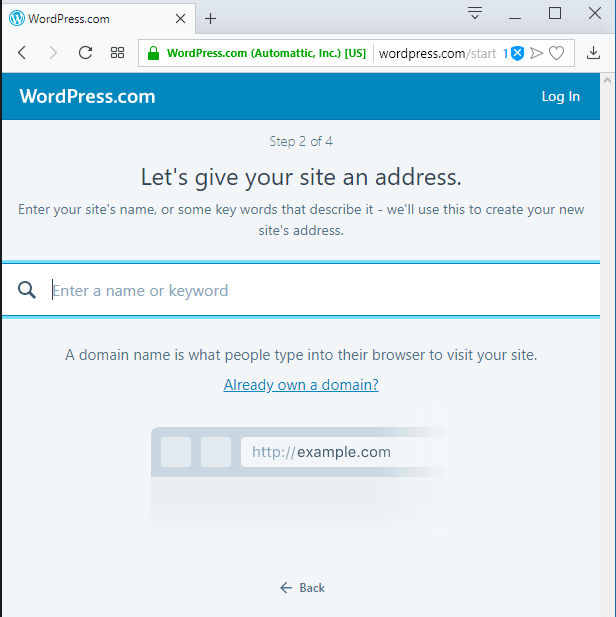 The “left door”, called Personal, is for those who just want a blog or simple site, but with a personal, domain name, not including “wordpress”, but it includes hosting. As you can see it currently costs $48 per year. If you choose this path we part company here. Sure, your welcome to come back and learn what you can, but this path puts you into the hands of WordPress and there is little CloudLadder can do for you. The other two doors, Premium and Business, are more of the same, but full-fledged websites, with your own domain name, hosting, and a slew of services and options, including premium themes and plugins. Support is provided by WordPress and once on either of these paths you will have no need for anything from CloudLadder. So what is the other option? See that little link Start with free? That is the route for those who will build a “self-hosted” site using hosting from an service company. 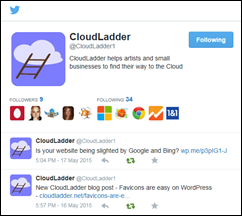 This is at no cost at WordPress and is what CloudLadder recommends. Click this link and you get a WordPress blog site, with the domain name you picked and the “wordpress” in the middle. But there really is a lot more. If you go this route, and we hope you do, you can pick hosting and independent domain name registration that can be less expensive than even the “Personal” option, but very much more flexible in the long run. The next steps on the WordPress site set up your account. You will need to enter an email address, pick a password, the kind of things that you have gone through elsewhere. Finish up, carefully recording your credentials. WordPress will offer you links to major hosting services. You can pick one of those and wave goodbye to CloudLadder, or you can go on to the next article in this series to see what steps are next. 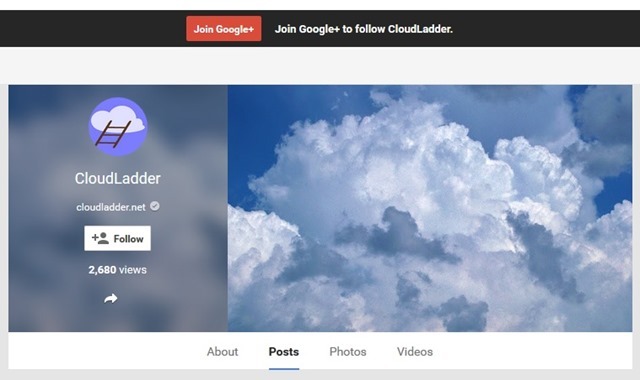 Of course, CloudLadder can help starting at any point along this way, including starting from the beginning. We usually have an offer on a special page that wraps all these things, WordPress account, domain name registration, setting up hosting service, installing the WordPress engine, setting up your first three pages, a “newsletter: and a blog. All for a modest fixed price. See our current offer. This entry was posted in Setup on May 12, 2018 by ludwigkeck. This entry was posted in Setup on August 14, 2015 by ludwigkeck.